A couple of months ago we decided to hit the town to introduce Little Champagne Cart. So we set off with our friends, the super talented husband/wife photographer duo, Keith and Melissa, plus several bottles of champagne and a hit list with a few of our most favorite event vendors. We’ll get into who we visited, but first. Two things you should know about us. The first, is that we LOVE Lexington. 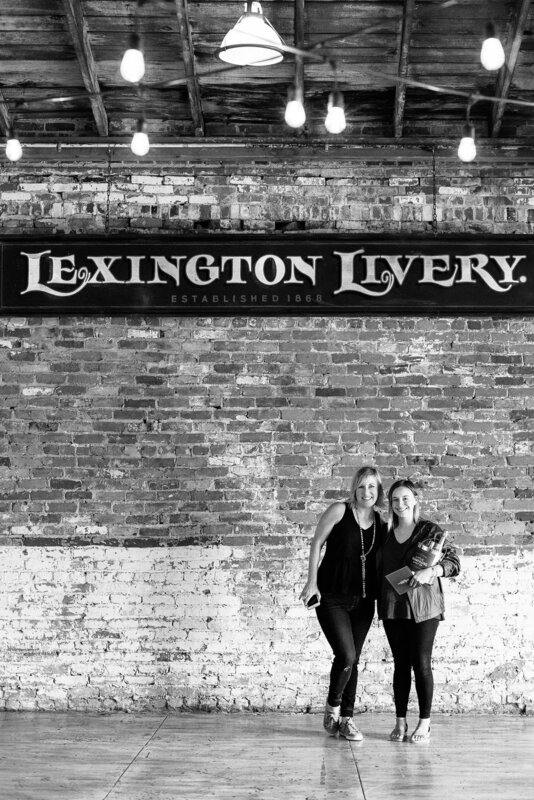 No joke, we’ve tried to move and there are very few places in the world that compare to our beautiful home state of Kentucky and more specifically the magic of Lexington (visit us and we’ll gladly show you around!). The second, is that we absolutely adore the wedding and event industry and the people who work in it. These people are our friends, actually they’re more than friends–they’re like our family. A family of crazy “event-addicted” people who understand how you’re always tired, but still somehow always up for another weekend filled with party goers, endless nights and the wedding obsessed. We had some lofty goals. A list of 20 wedding vendors to be exact. Our cooler loaded with bottles Champagne, marketing materials in hand and paint buckets customized with our logo and suddenly we were ready to Paint the town in Champagne! Needless to say we didn’t make it to all 20 that day, mainly because we love to talk to our friends! It’s not often that we get to see each other during the week, and especially without a client in tow. So we made the most of it! We popped open the bubbly, and shared a glass, or two, with our dearest event family. We’ll to finish our Lexington list another time, and plan to “paint” Louisville, Cincinnati and Nashville. But, for now check out the great photos captured by Keith and Melissa! Check out the vendors who celebrated with us for our Paint the Town in Champagne Campaign!